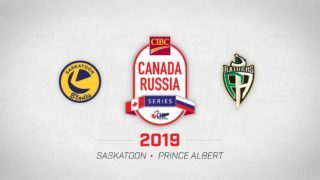 Tonight – The Saskatoon Blades visit the Regina Pats for the 3rd time this season, looking to take the season series lead and put together a 3 game win streak. The Blades have won their last 2 games, and have gone 5-4-0-1 in their last 10. Meanwhile the Pats 4-6-0-0 in their past 10 games, and are coming off a 3-0 shutout loss to Kamloops on Wednesday. The opponent – Last season’s heavyweight champs are still trying to find their stride, but don’t be fooled by the Pats’ record. They still bring an experience group that always seems to get up a little extra for games against the Blades. 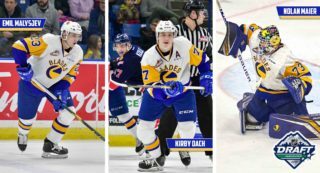 However, the Pats will be without Josh Mahura and Sam Steel who are away at World Junior camp with Team Canada. The Pats are 4-6-0-0 in their last 10 games. 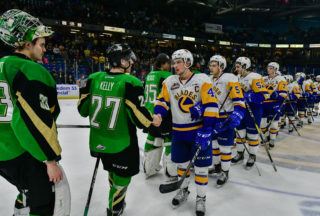 For Saskatoon – The Blades are feeling good after a 5-3 win over Lethbridge on Tuesday, and need to carry that momentum into Regina tonight. Emotions typically run a little higher when these two teams meet, so the Blades need to keep their tempers in check tonight. Special teams have been clicking lately, and it’s rare for Saskatoon to face a team with a worse penalty killing unit, so exposing that tonight against the Pats is a huge opportunity. 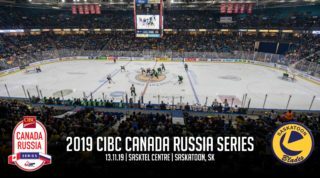 The Lineup – The Blades are without Libor Hájek who is also away at World Junior pre-tournament camp with Team Czech Republic. Still with 6 d-men on the roster, others will be leaned on to replace those minutes this weekend. Ryan Kubic returned to the lineup earlier in the week after missing 10 games due to injury and backed up rookie goalie Nolan Maier. Maier carried the load starting 11 straight games in Kubic’s absence, so the veteran may get the nod tonight. 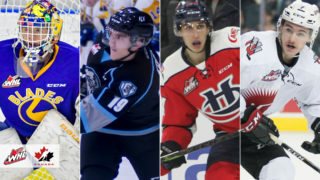 The next home game for the Blades is Saturday, December 16th versus the Kelowna Rockets. Click here for tickets or call 306.975.8844 to book your group night or experience package!